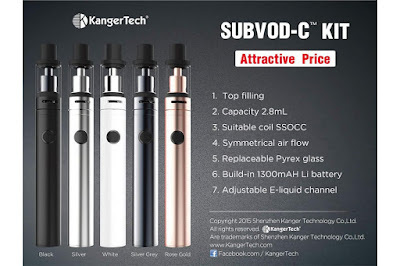 Home » Kanger SUBVOD-C Kit » Kanger SUBVOD-C Starter Kit » SUBVOD-C Kit » SUBVOD-C Starter Kit » Which color do you like best on Kanger SUBVOD-C Starter Kit? Which color do you like best on Kanger SUBVOD-C Starter Kit? Kanger Subvod-C Starter Kit has five colors for your options, which color do you like best? 5% off for all devices now!